They go by Penny Gang. Our TapSongz Team has been scouring the internet to find the next top talent. 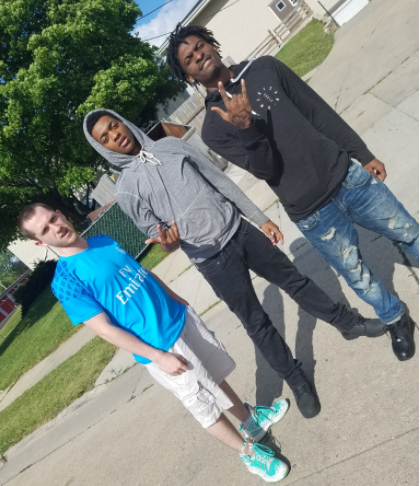 We came across the duo out of Racine, Wisconsin, and had the opportunity to touch base with them about their recent projects and learn more about what they have in store for the rest of 2017. The duo has been working hard to perfect their sound, which has come from many different influences. "We liked people who could rap real life and show their artistry. Eminem, 2 Pac and Biggie to name a few," the guys told our TapSongz Team. They loved poetry and always wanted to put it into music. "Our name Penny Gang came from the hustle and grind we put in. We don't care what it is we will take anything from a penny to a million dollars." The guys have been busy and are looking to take their music to the next level, putting everything they have into their latest unique sound. "We are just starting to record videos for all of our songs. This is challenging because we need to find the right location and we want it to look smooth," Penny Gang told our TapSongz Team. We were particularly a big fan of their track "Rush" which has amazing rapping, strong bass and an awesome beat. "Rush was a masterpiece from the start. Once the beat dropped it was easy to see the song ending as a hit." We definitely encourage you all to give it a listen below! As for the rest of 2017 the guys plan to keep busy and continue progressing their careers. "We are going to keep making music. We will be known by the end of the year and have a record deal," Penny Gang said. The guys clearly have a passion in music and it is cool to see them push forward with their pursuit. Be sure to toss them a follow on social media to stay up to date with their latest releases! We are excited to see what they can accomplish! Here at TapSongz, we thank you for reading this feature article as we continue finding tomorrow's greatest music today!